It's quite the treat seeing all the new uploads here lately. Thanks much for the new Suikoden music. I love the music from these games. They had a number of great arrange albums also. Wow! New album! Thanks a lot! Thanks for the uploads. I know a lot of us lurk and leech and seed and never really say anything, you are such an appreciated resource that we probably don't thank enough. Thank you! Like, I hate to be that person...But why are your albums in such poor quality? It's never 320kbps. Is it because you want us to actually buy the albums? If so I can understand it and respect it. It forces us to buy the albums in order to get the best quality. But seriously though, I love Suikoden music to death, i'm like crying now, totally forgot about this release...crying because of the music, not the 200kbps. Anyway. Keep up the good work. I will buy this. Like I do with all the things that I love, as long as I can afford it. 320kbps is not better quality. Learn a little about encoding before making a quality judgement. cheers heaps. 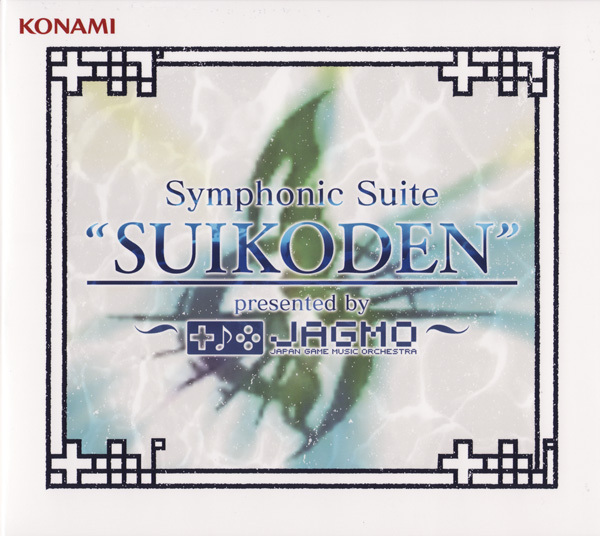 Suikoden music and their subsequent arrange albums have been with me for many years...especially both piano albums and rustling in the wind, Asian and Celtic collections .. This will be another one to buy most likely.